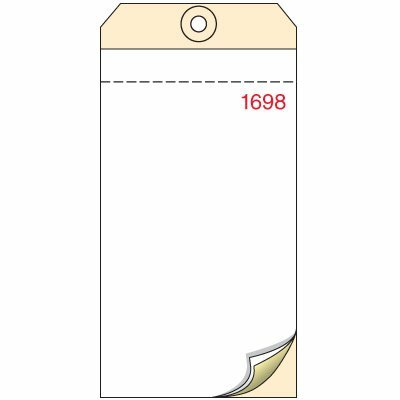 Inventory control tags feature a reinforced eyelet to prevent tearing. Consecutively numbered for easy inventory control (Seton chooses your number sequence from in-stock inventory). 3-part tags are designed to make triplicate copies, without the use of carbon paper. 6-1/4"h x 3-1/8"w perforated cardstock inventory control tags. Attach the heavy, cardstock tag to the equipment with tag fasteners, sold separately.